It’s only March, but 2019 is shaping up to be the year of unexpected fashion labels. Just a month after Rihanna announced her new venture, Project Loud, artist Sterling Ruby has today revealed his new ready-to-wear line, S.R. STUDIO. LA. CA. No stranger to fashion, Ruby is a longtime collaborator with designer Raf Simons. During his time at Calvin Klein, the two worked together on the sets, most notably created a life-sized barn in a completely popcorn-filled venue for AW18. The artist also worked with Simons on the designer’s own label, creating an acid wash-filled AW14 collection. Ruby’s own label will include both womenswear and menswear, as well as accessories, all inspired by his work over the years. “I’ve always been interested in the behavioural power that comes with clothing,” he says. “For years I have been privately exploring garments as a medium, as something that impacts the way one can think, feel, and move. I couldn’t be more excited to finally put my clothing out into the world.” Outside of fashion, Ruby is known for his variety of mediums, working on sculptures, ceramics, photography, textiles, and more. The label’s debut collection is set to drop in June, but little else is known on what to expect. With Simons having now left his role as chief creative officer as Calvin Klein, maybe he’ll be collaborating with Ruby on the first collection. Follow @s.r.studio.la.ca to keep up with updates. EDIT: S.R. STUDIO. LA. 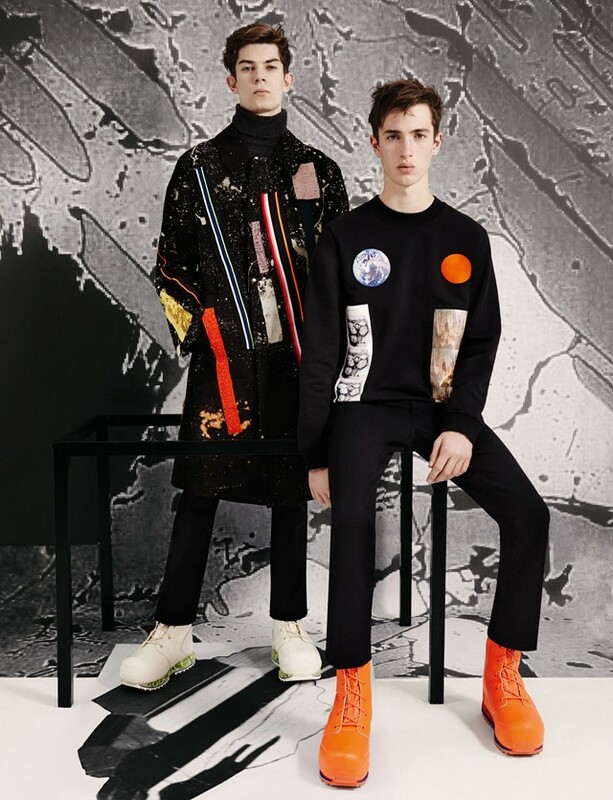 CA has now been announced as another guest designer at Pitti Uomo’s SS20 shows, joining the likes of Givenchy, who was announced last week. Ruby will present his debut collection on June 13.